Shoprite ~ Jimmy Dean Breakfast Bowls only $1.95, ends 4/7! Shoprite ~ Charmin Essentials Bath Tissue only $0.33 per roll, ends 4/7! Shoprite ~ Bounty Basic Big Roll Towels 6pk only $0.67 per roll, ends 4/7! 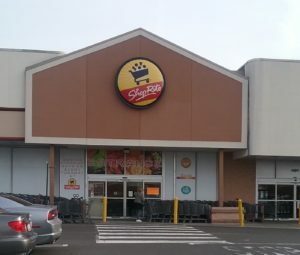 Shoprite ~ Hefty Trash Bags just $1.99, ends 4/7! Shoprite ~ Huggies Snug and Dry Diapers only $2.93, end 4/7! Shoprite ~ Wet Ones Wipes only $1.00, ends 4/7! Shoprite ~ Swanson Chicken Broth only $0.49, ends 3/31! Shoprite ~ BBQ Grill Gazebo, Only $79.99, ends 3/31! Shoprite ~ Viva Paper Towels Just $0.58 per roll, ends 3/31! Shoprite ~ Cooked Perfect Meatballs only $1.88, ends 3/31!